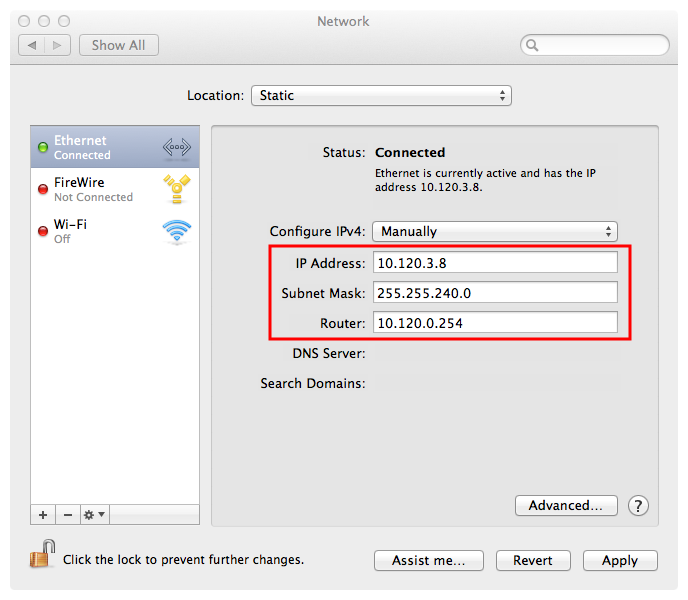 The Network configuration panel appears. In the list to the left, select Ethernet. 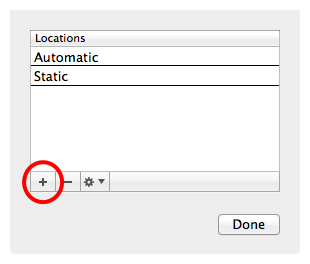 In the Location drop-down, select Edit Locations. Click on the + button to add a location, then name it Static. Set the IPv4 Address to the IP Address obtained earlier. Set the Subnet Mask to the Subnet Mask obtained earlier. 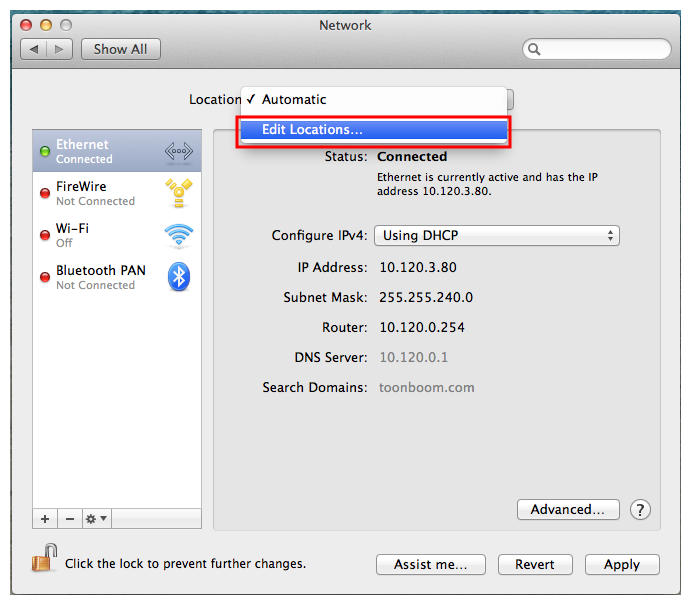 Set the Router address to the Router address obtained earlier. Under the DNS Servers list, click on the + button to add a DNS server. Add each of the DNS Server addresses obtained earlier. Under the Search Domains list, click on the + button to add a search domain. Add each of the search domains obtained earlier. 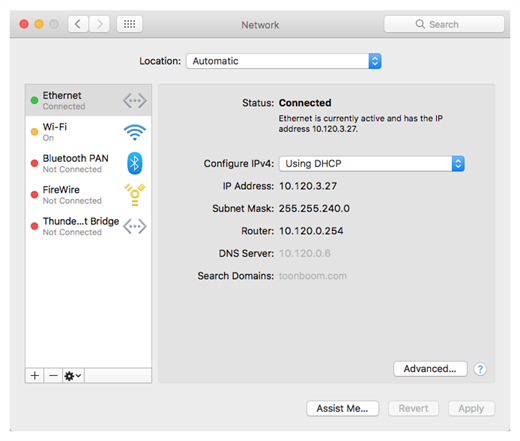 If your configuration works, the Network panel will indicate Status: Connected at the top.